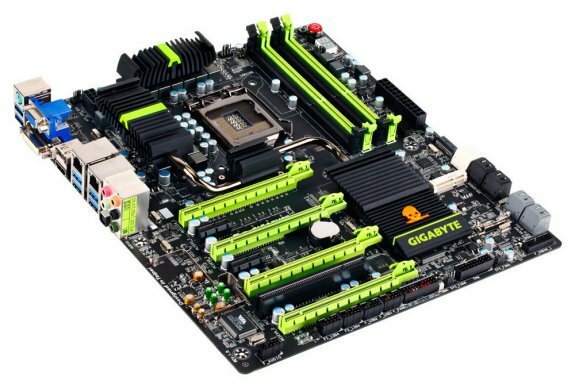 GIGABYTE TECHNOLOGY Co. Ltd., a leading manufacturer of motherboards and graphics cards, today launched their long awaited 7 series motherboards designed to deliver the ultimate performance for 3rd generation Intel Core processors. Combining the world's first Dual UEFI BIOS, a new and unique All Digital power design, and the latest GIGABYTE Ultra Durable 4 technologies, GIGABYTE 7 series motherboards offer an extremely compelling case for a system upgrade. "The new GIGABYTE 7 series motherboards are designed to offer a seamless upgrade for enthusiast PC DIYers by providing specifications and features that will be compatible with future CPUs, VGA cards, memory, SSDs, and wireless protocols for years to come," commented Henry Kao, Vice President of GIGABYTE Motherboard Business Unit. "It makes sense then for us to aggressively transition to GIGABYTE Z77 and H77 motherboards so that enthusiasts can purchase them in anticipation for the release of Intel's highly sought after 3rd Gen Core™ processors." "Intel is excited to partner with GIGABYTE on their Intel 7 Series Chipset-based motherboard launch," said Zane Ball, GM Intel Desktop Platforms. "We are pleased that these new boards support Intel's responsiveness technologies, including Intel Rapid Start, Intel Smart Connect and Intel Smart Response. Users will enjoy snappier performance and quicker access to their most important applications." 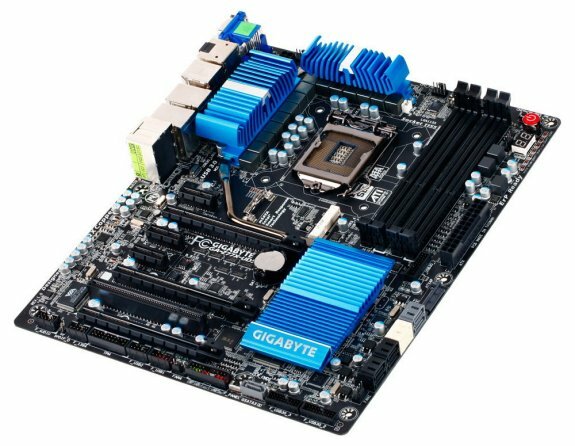 GIGABYTE 7 series motherboards also feature our revolutionary 3D BIOS that is based on the exclusive GIGABYTE UEFI DualBIOS technology. With an updated look and feel, this new 3D BIOS offers two distinct modes of interaction in a BIOS environment, 3D Mode and Advanced Mode, that re-draw the traditional BIOS user experience with a far more intuitive and graphical interface. Our new All Digital power design for GIGABYTE 7 series motherboards allows users to have greater control over the power delivered to their 3rd generation Intel Core processors on the LGA 1155 socket. Using entirely digital controllers for the CPU, processor graphics, VTT and system memory, users can enjoy more precise power delivery to the PC's energy sensitive components than previously possible. GIGABYTE 7 series motherboards feature the latest GIGABYTE Ultra Durable 4 technology, embracing a range of exclusive technologies that guarantee DIY PC builders the absolute best protection for their PC. Specific features prevent common malfunction threats including humidity and moisture, electro-static discharge, sudden power loss and high operating temperatures. GIGABYTE 7 series motherboards feature the latest Lucid Virtu GPU virtualization technology, Lucid Universal MVP, which improves the visual and graphical performance of your PC. Offering switchable graphics allows the PC to automatically switch between onboard Intel processor graphics and a discrete GPU depending on the application being used, Lucid Virtu MVP also features HyperFormance technology which eliminates redundant rendering tasks to improve frame rates and eliminate screen tearing. GIGABYTE 7 series motherboards include an exclusive PCIe expansion card that offers support for the latest Bluetooth 4.0 (Smart Ready) and dual band 300 Mbps Wi-Fi connectivity (available in specific SKUs). With the growing availability of affordable or free remote mobile to PC software, such as Splashtop and Dropbox, GIGABYTE believes that now is the time to explore and enjoy the home cloud: a personal cloud within the secure environment of a home network where the performance and functionality of desktop PCs can be utilized and controlled by portable cloud devices. GIGABYTE 7 series motherboards feature an exclusive EZ Setup utility that allows users to more easily implement the latest Intel responsiveness technologies. Within a simple user interface, you can install and configure Intel Smart Response, Intel Rapid Start, and Intel Smart Connect. GIGABYTE EZ Setup will automate the install procedure for each of these technologies, reducing the procedure to a few simple clicks of your mouse. All ATX form factor GIGABYTE 7 series motherboards feature an onboard mSATA connector that, together with GIGABYTE's EZ Smart Response technology, allows users to simply and cost effectively enjoy better responsiveness from their PCs. mSATA solid state drives have been made popular by the rapid growth of tablet PCs, and provide a cheaper solution for smart caching because they are available in smaller capacities than traditional SSDs.